From time to time I create these ‘SurrealScapes’ of the city for fun, and thought a few shots from two recent visits to the Hancock would make for a cool blend. In this image, I’ve layered three separate photos together. 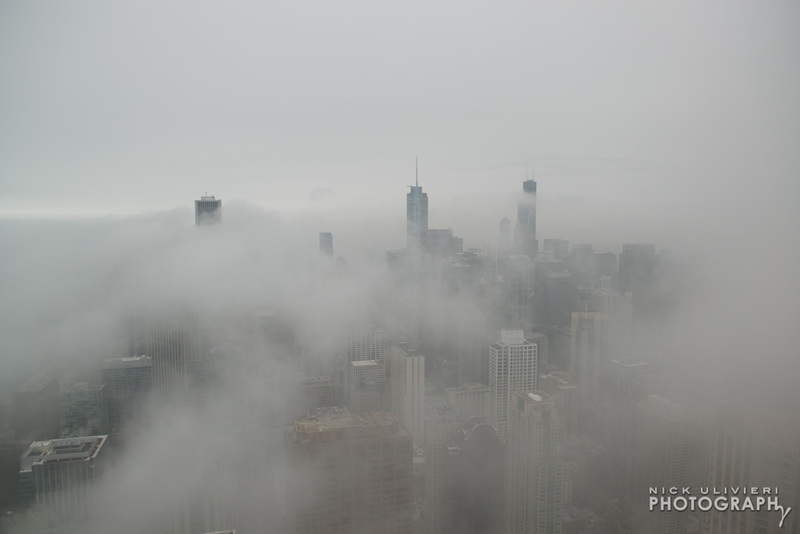 I rushed up to 360 Chicago (The John Hancock’s Observatory) on April 8th to catch some awesome fog circulating through the skyline. It’s not everyday you get a chance to be above the clouds, so when that opportunity arises, I do my best to take advantage of it. 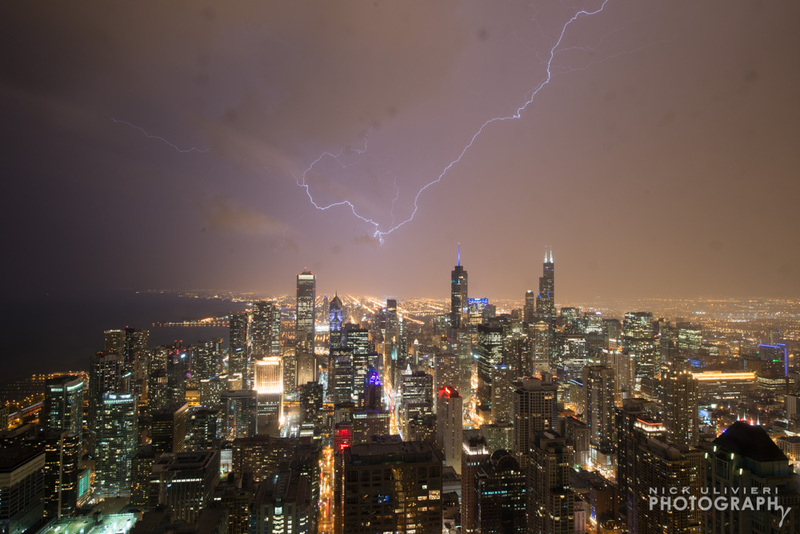 I went back to the observatory the very next night to try and get some some lightning shots during the wave of storms that moved through the area. 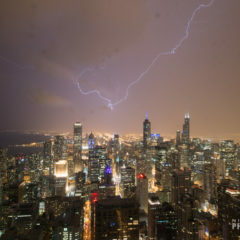 While there weren’t any bolts that connected with Chicago’s skyscrapers, I did manage to capture a few lightning tendrils higher in the sky. After realizing I had some frames that might line-up nicely, I decide to blend some together. After loading three frames into Photoshop, I aligned the layers and then added a layer mask to the fog frame. 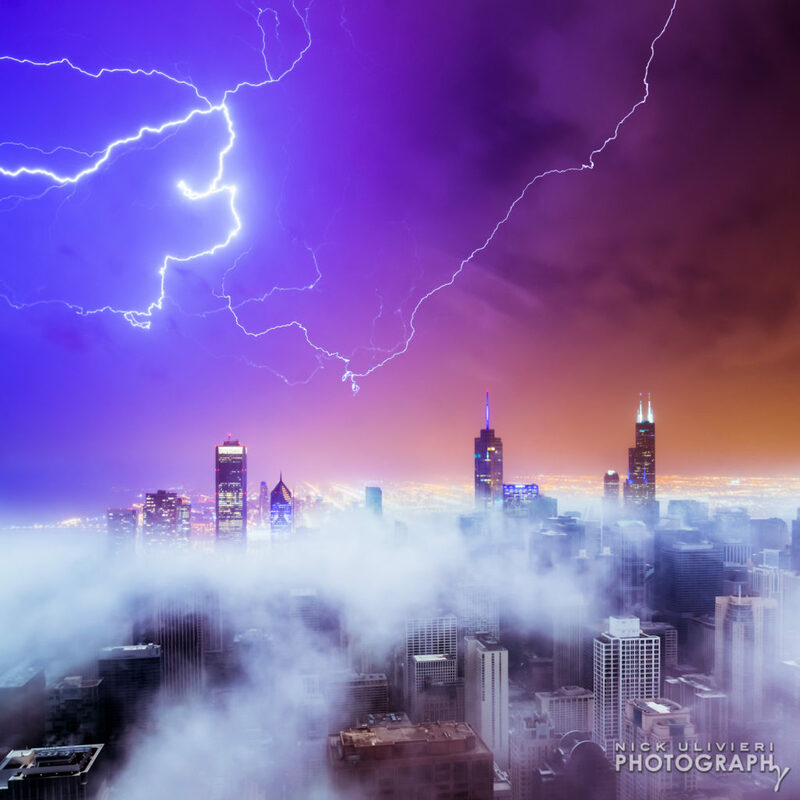 Using a super soft brush, I masked-out the sky to reveal the two lightning frames behind it. 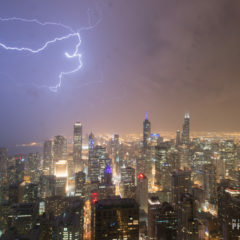 The sky and twisted jumble of lightning on the left-hand side makes up the entire background, while the bright bolt coming from the right hand-corner and curling up is a separate layer. Isolating that single bolt was quite tedious, but the sky behind it wasn’t as appealing, and felt like I needed a bolt on the right-hand side to balance out the image. Some color tweaks and a lot of cloning-out-water-spots later, I had my final composite. If you want to see the actual shots from those days, I have some sets posted on Flickr. 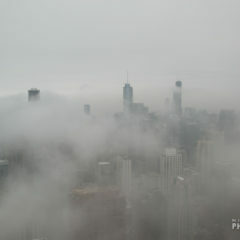 Here are the fog shots. 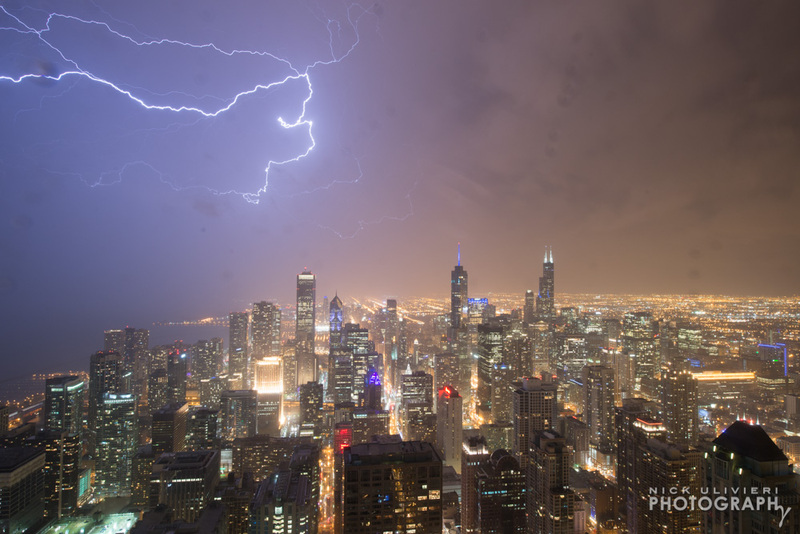 And here are the storm shots.